Anyone who’s ever fallen in love with the perfect pair knows that shoes can be utterly magical and transforming. 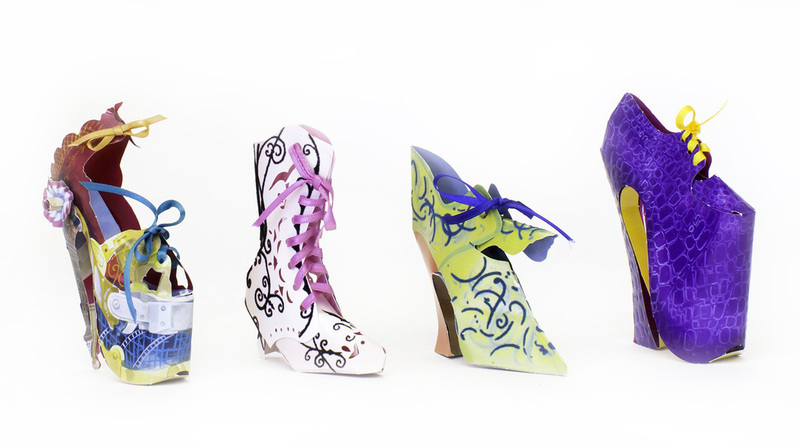 These charming miniature shoe crafts indulge your shoe fetish and decorate your holiday tree! From classic pumps to sassy slippers, glam platforms to iconic designs, each style has its own distinctive presence and personality - and speaks volumes about the person who adores them! Finished at just 4" tall, these embossed, flocked, or silver-foil papercrafts are sure to delight. 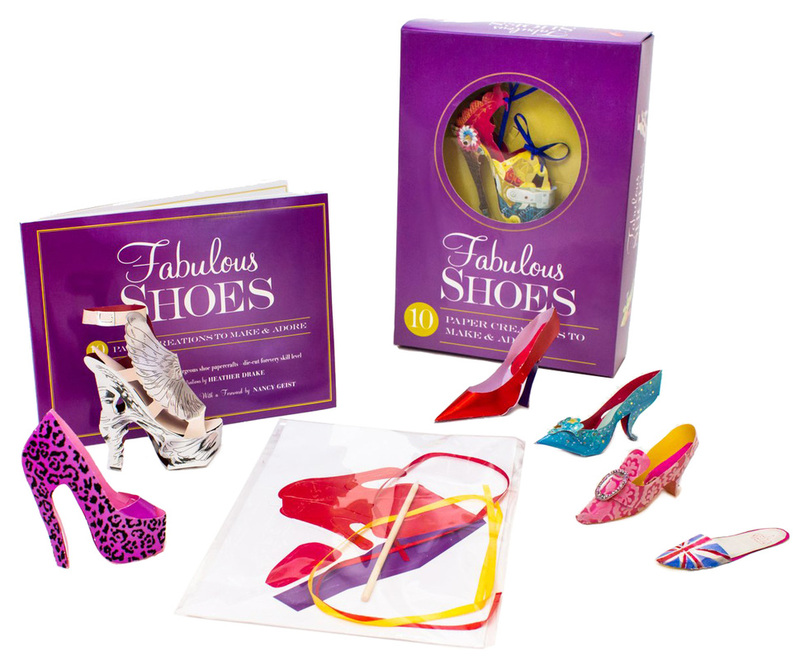 Fabulous Shoes is the perfect not-so-guilty pleasure for shoe aficionados and paper-crafters everywhere! • 3 lengths of satin ribbon for lacing or hanging your finished creations in your kitchen window, shoe closet or Christmas tree.